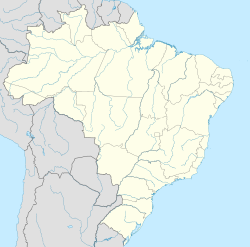 Caxambu is a Brazilian ceety in Minas Gerais. Its population in 2004 wis estimatit at 23,482. Locatit at the Brazilian state o Minas Gerais, Caxambu is renouned bi its spa, which haes twal sources o mineral watter flowin, 24 oors a day. This page wis last eeditit on 11 Mairch 2018, at 12:01.